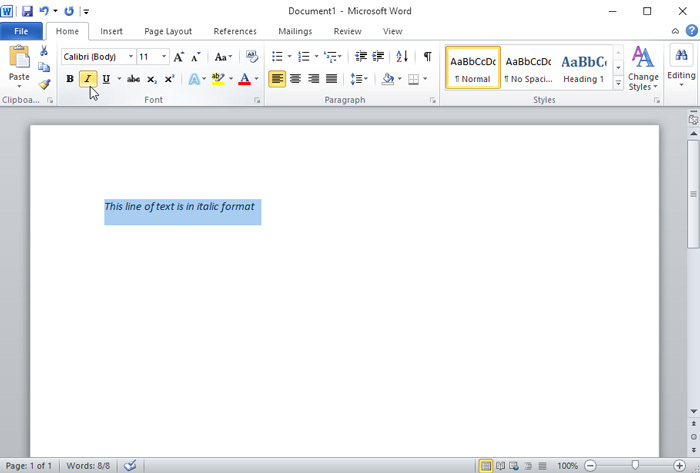 Making your document more readable and presentable is easy, by applying text formatting. If you want to highlight or emphasize something in your document and to make it stand out you can add color, underline or making it bold and italic. 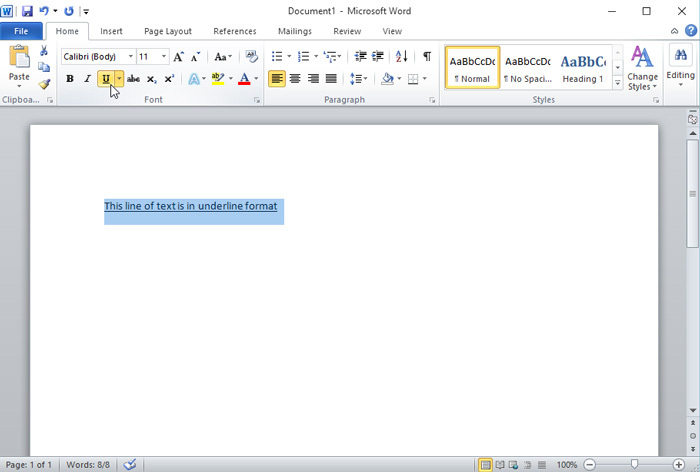 In this tutorial you will learn how to apply all the text formatting mentioned. 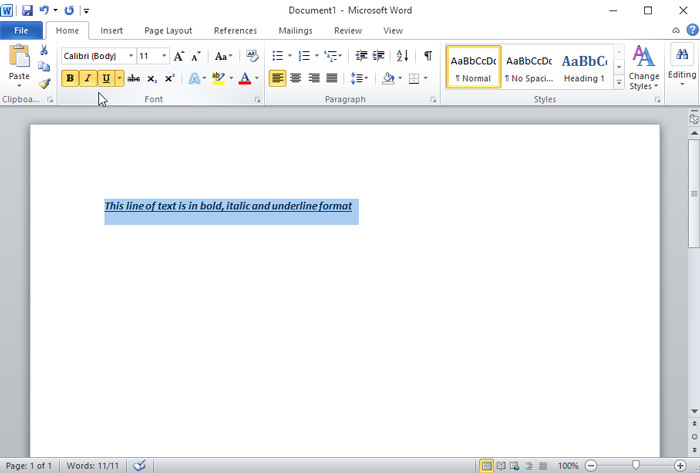 To make specific text or line of text bold in a word document, select it by click and drag to highlight then go to the “Home” tab in the Font group and select the bold icon “B”. It will automatically change the highlighted or selected word into Bold format, you can also use CTRL+B keyboard shortcut to make the selected Word Bold. To italicize a text or line of text in a document, the same procedure when making bold, select to the word or line of word to be italicized and click the “Italic” icon “I” or press CTRL+I on your keyboard. Like Bold and Italic, Underline is the third most used text formatting tools when creating a Word document and the procedure to underline text is the same. The keyboard shortcut to underline a text is CTRL+U. You can mix or combine these three formatting tools to format a text or line of text in bold, italic and underline to make it more emphasize. The same procedure when you create formatting on top. The keyboard shortcut is (CTRL+B, CTRL+I and CTRL+U) combination of three. Another way to highlight a text in a document is to add color. 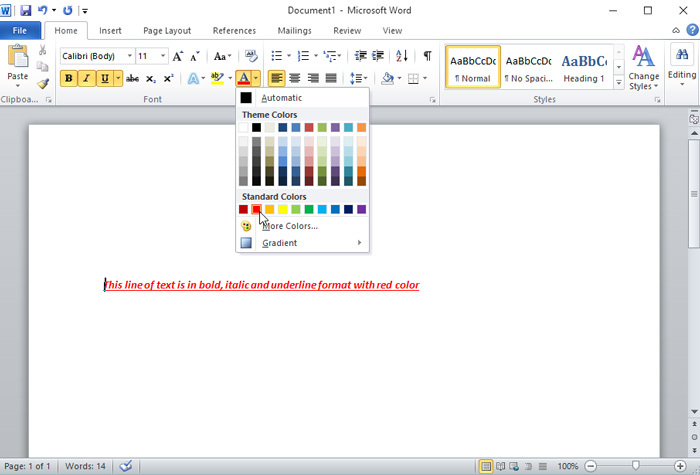 You can easily do it in Mircorsoft Word, just select the text, then go to home tab, click the inverted arrow next to the font color icon “A” in font group to select the color, see the screenshot.